There is just something about fresh sourdough that can’t be beat. Especially if it’s a fresh warm loaf of homemade sourdough that you just pull apart and eat with or without butter. Today is National Sourdough Bread Day and since we’ve been making our own sourdough for over 2 years now it was a day I couldn’t ignore. Oh but there’s more! Tomorrow is National Peanut Butter and Jelly Day! Seriously no joke, trust me I wouldn’t joke about these things April Fools Day or not. Coincidence that it follows National Sourdough Bread Day, I think not! If there ever were two days I had to celebrate this would be it. 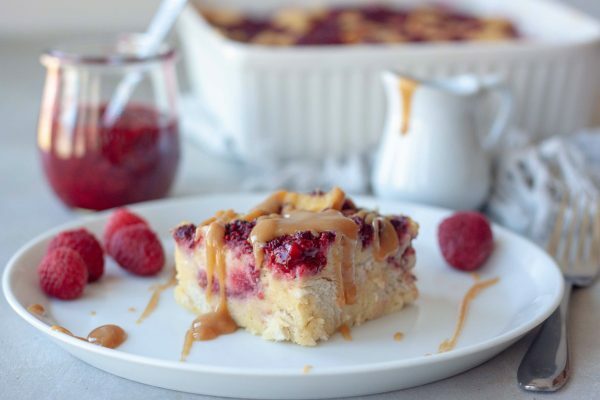 So I put them together and made a twist on a comfort food classic that’s a favorite of mine and made PB&J Sourdough Bread Pudding! Oh don’t worry we’ll be celebrating with simple PB&J sandwiches on fresh homemade sourdough too! 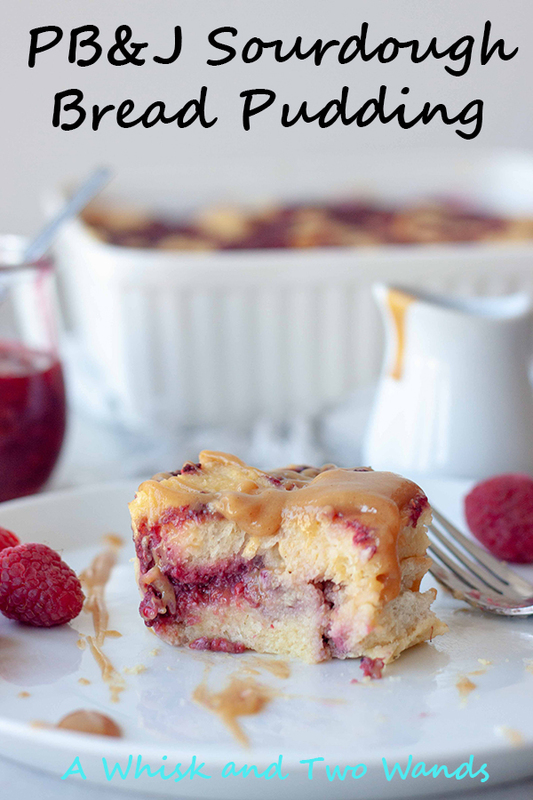 PB&J Sourdough Bread Pudding waiting to have Peanut Butter Drizzle poured all over it! This recipe brings back memories of making bread pudding with my grandmother and my love for it. I wish the family had the same love and memories as I did. They do like it but it doesn’t have the same meaning and wouldn’t be one they would request as I would. I’ve also been asked what the difference is between bread pudding and a French toast bake is and while it seems clear when you think French toast vs bread pudding it really isn’t other than the egg mixture ratios are different and it’s more of a custard with bread pudding and more of a 50:50 milk to egg or more egg with French toast or French toast bakes. Either way I’m a fan of both but really have a special spot for bread pudding and think of it as not only dessert but breakfast as we always had it for breakfast with grandma and now I see it as a dessert 90% of the time. Of course when Hotel Valencia, one of my favorite hotels to date only behind Hotel Yountville (also in California) and Hotel Minella (in Ireland) served it for breakfast it made me so happy and was one of the only times I saw it served at a restaurant for breakfast and not dessert. Sourdough is actually pretty simple to make once you have it down it just becomes part of a routine. Like I’ve shared on some Instagram videos and previous posts when I want to make sourdough it takes me 5 minutes the morning before I plan to bake it to feed the starter and another 5-10 minutes (depending on how tired I am and if I had a good arm workout and my arms are tired). The next day I make my sourdough in a mixer and that takes less than 20 minutes. We use to do it by hand but when making 2 loaves and fitting it in during the week while getting the girls to school I use a mixer and make it while making my espresso. I set the dough up and 3 hours later I shape my bread into 2 loaves, usually a cinnamon swirl and a plain or two plain loaves. In the afternoon, 4 hours later, just before or between picking up the girls up from school I throw the bread in the oven and bake it. Fresh bread just in time for dinner! Of course when our schedules are different I fit it in when I can. To be honest I didn’t make any sourdough the week before Baby G was born and made it for the first time Friday so it was over 3 weeks since I made a loaf. There were times before Friday I could have fit in making it but just didn’t, soaking up all the baby snuggles over here and trying to slow down time as it’s flying by. I still haven’t had time to write up Baby G’s “birth story” but will be sharing it here soon since so many have asked and I figured it was the best place to share it. 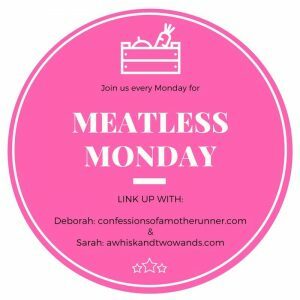 I may also share some of my go-to quick meals and snacks I’ve been loving lately as an even busier mom. We’ve been out and about a lot, schedule is off, but I have managed a few meals that are a little more involved and they all happen to be Thai dinners since I’ve had a crazy craving for it. 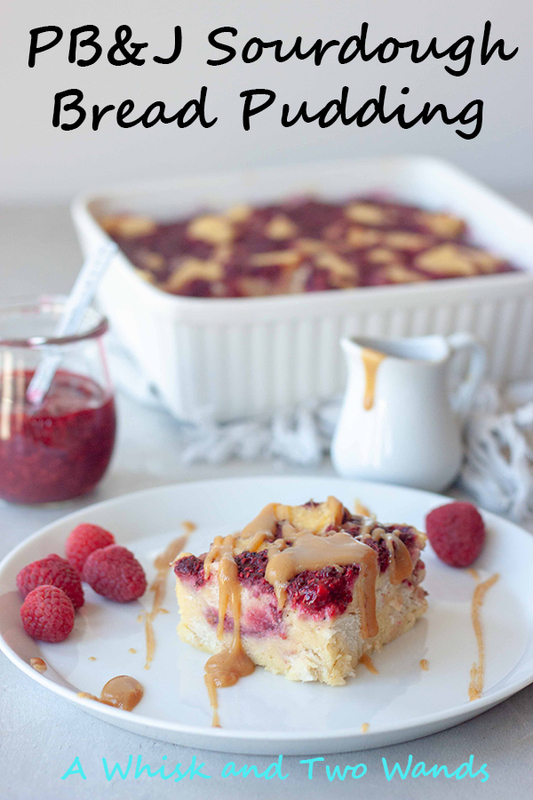 Or and another batch of this PB&J Sourdough Bread Pudding and sourdough. Today Mr. Whisk heads back to work and I’ll be tackling drop off, pick ups, and balancing everything on my own during the day. Hoping it goes as smoothly as things have been lately because I honestly can’t complain about how we’ve been adjusting. As I said we’ve been out and about and we’re getting some pretty good sleep with 2-3 hour stretches. Even a schedule and routine up until yesterday and I know that will be always changing. So with it being National Sourdough Bread Day and National Peanut Butter and Jelly Day I have a couple questions for YOU! I get a lot of sourdough bread questions. If you’ve been wanting to make your own sourdough bread what can I do or share to help you out if you haven’t taken the plunge and tried to make your own yet? Or what’s holding you back? Are you a PB&J fan? If you were going to eat anything PB&J what would it be, classic sammie or something crazy? Breakfast or dessert this combination of two classics is just what you need and the ultimate comfort food. 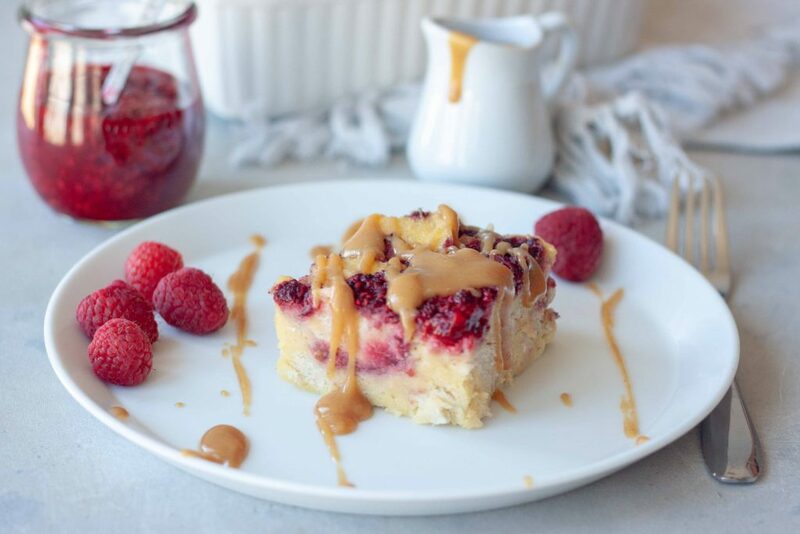 Classic bread pudding with a peanut butter and jelly twist made a little healthier yet still delicious! Make Raspberry Chia Jam at least 2 hours or up to 3 days before. In a saucepan, over medium/low heat, heat raspberries and lemon juice and bring to just a bubble, mashing with the back of a spoon. Stir in chia seeds and honey and cook for about a minute. Remove from heat, it will thicken as it cools. Store in the refrigerator. Tear or cut sourdough into 1" cubes/pieces and place in a large bowl. In a medium bowl beat egg yolks and sugar together, set aside. In a sauce pan heat milk and vanilla over medium to medium- high heat until it just comes to a boil. Remove from heat. Slowly pour milk into eggs while whisking (using an electric hand mixer if possible) continuously. If you add it too fast or don't whisk it you will cook the eggs and end up with clumps. If you have a few clumps run through a fine strainer. If there are a lot of clumps or large clumps start over. Pour warm egg and milk mixture over bread and gently toss to coat. While the bread is soaking pre-heat the oven to 325F, this should be about 10 minutes and liquid should be 95% soaked up into the bread. If you have a large amount of liquid add a few more bread cubes. When oven is ready spray a 8x8 or 9x9 (preferably ceramic or glass) pan with coconut oil spray or spread with coconut oil. Spread half of the bread mixture into the bottom of the pan. Spoon half a cup of the Raspberry Chia Jam in spoonfuls on top of the bread crumbs. Repeat with remaining bread crumb mixture and jam. Place pan in a larger pan and fill the larger pan half way up the bread pudding pan with hot/warm water. Place in the oven to bake for 1 hour. When the bread pudding is done let cool on a wire rack while making the Peanut Butter Drizzle. To make the Peanut Butter Drizzle whisk together peanut butter, almond milk, and honey/syrup until smooth. Warm in the microwave or you can make in a sauce pan to warm over medium heat. 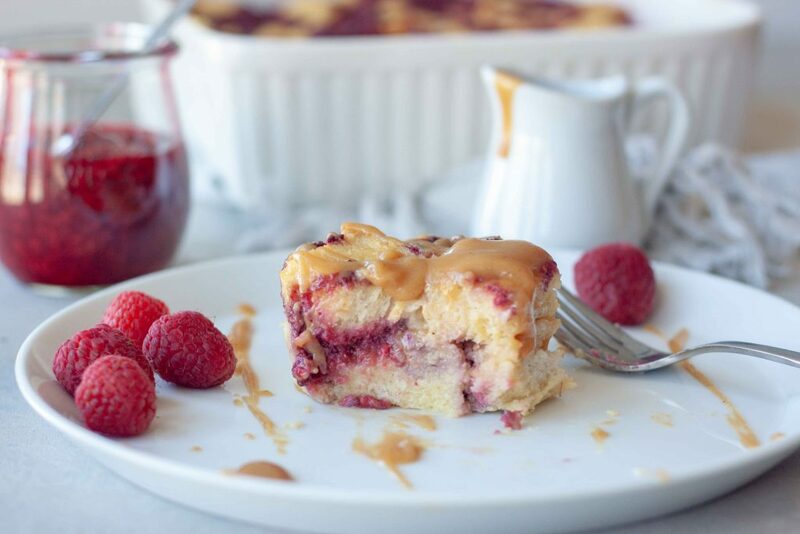 Serve bread pudding warm or cooled with Peanut Butter Drizzle over top. I like to also enjoy leftovers warmed up with warm milk poured over top. For a quicker less sugar option you can use 5 whole eggs and omit the sugar. 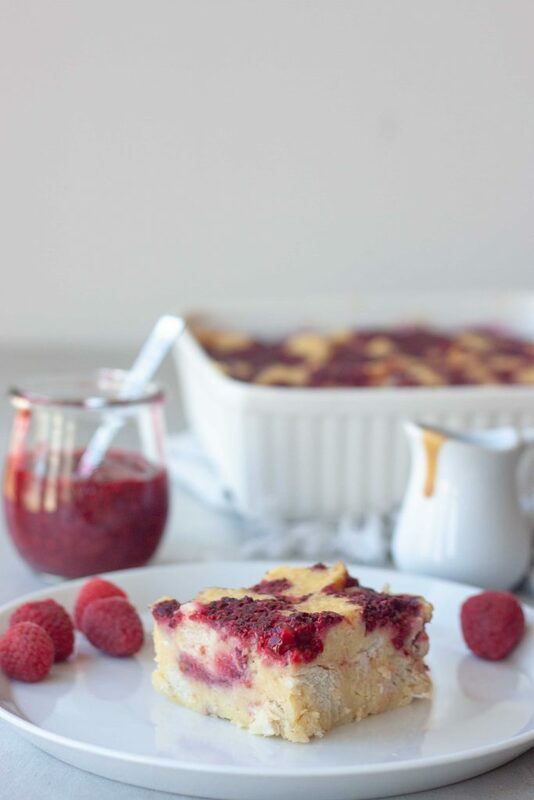 More of a French Toast bake instead of bread pudding. Yes and I think you’d love this one! So versatile too! I use it on pancakes, in smoothies, oats, ice cream, pretty much anything!